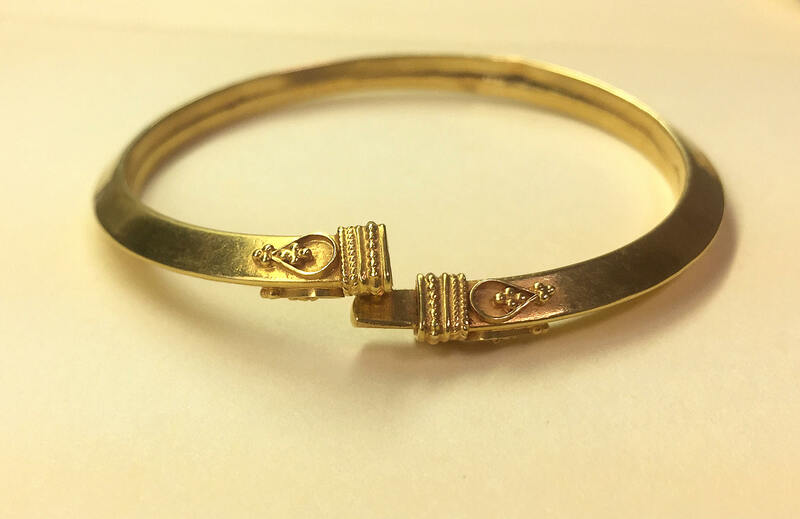 18K Yellow Gold elegant Bangle Bracelet. Probably Indian. 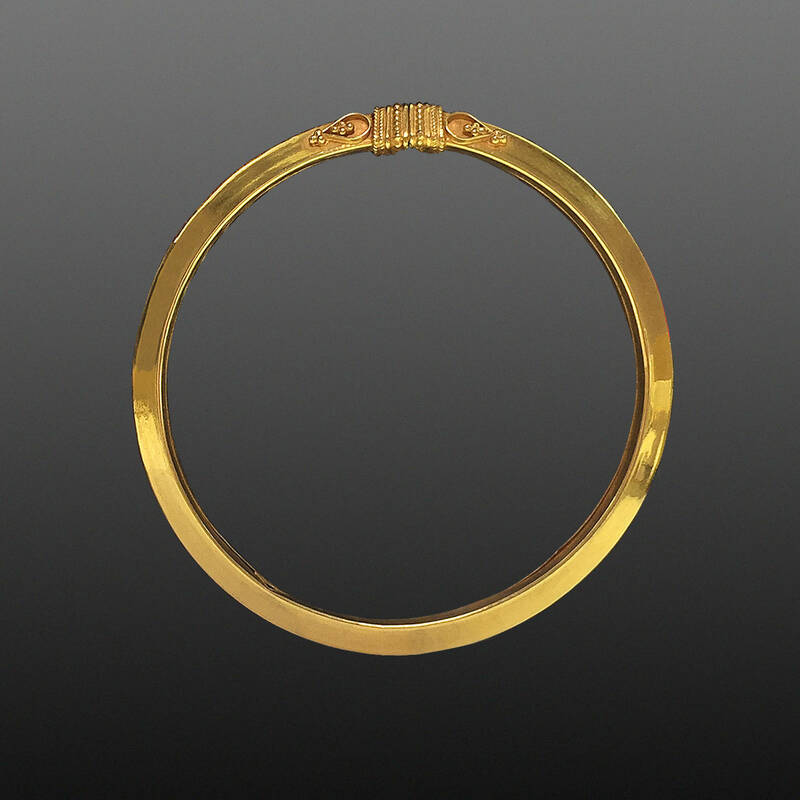 18K Yellow Gold elegant bangle bracelet probably made in India in the second quarter of the twentieth century. Tension closure is hidden in central decorative section. 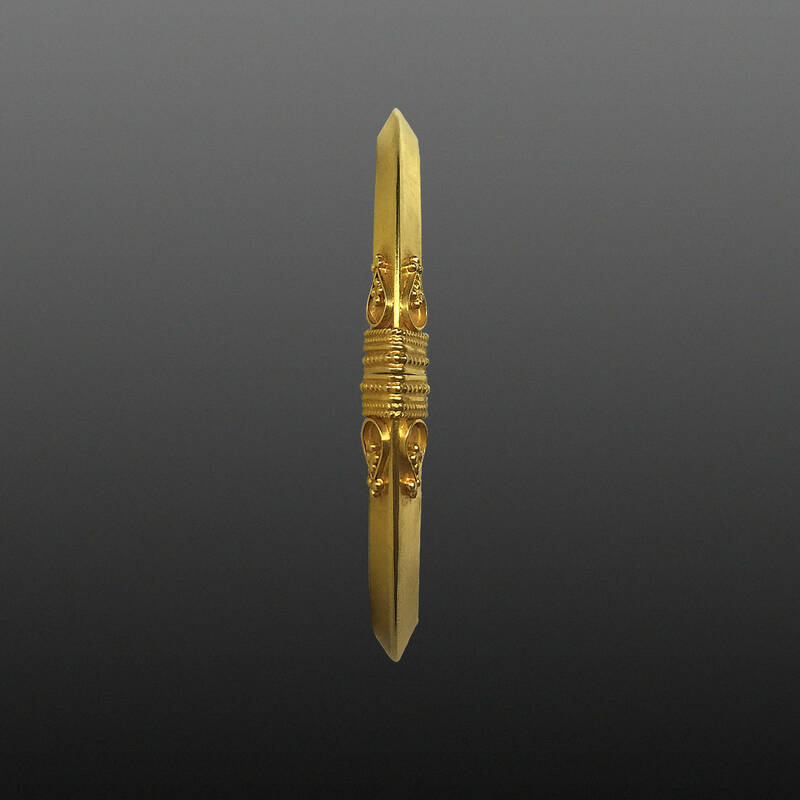 The tubular body of the bracelet is triangular with a knife edge top. Highly similar companion bracelet is also available and pictured on this site. They look marvelous together.